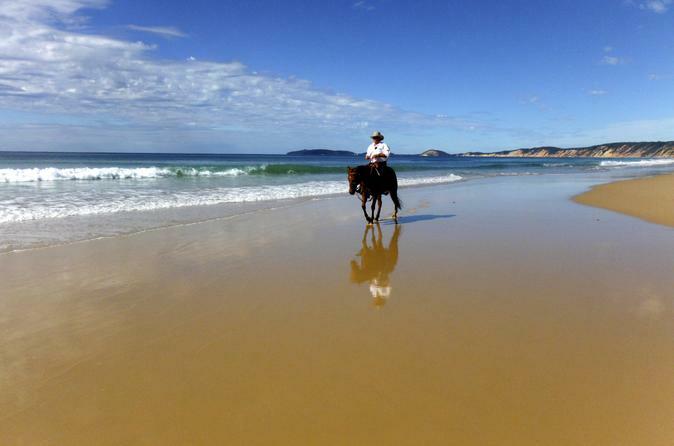 The Beach Ride is a horse riding adventure along Rainbow Beach, which is featured on the front cover of the book "101 best beaches of Australia". It is rated in the top five most incredible beaches in the world and the third most colorful beach in the world. 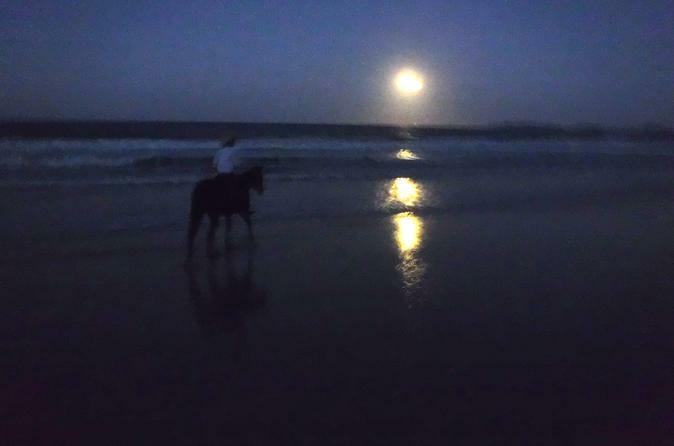 A truly unique experience watching the sun set, then watching as the full moon rises over the ocean while riding a horse along the stunning setting of Rainbow Beach. 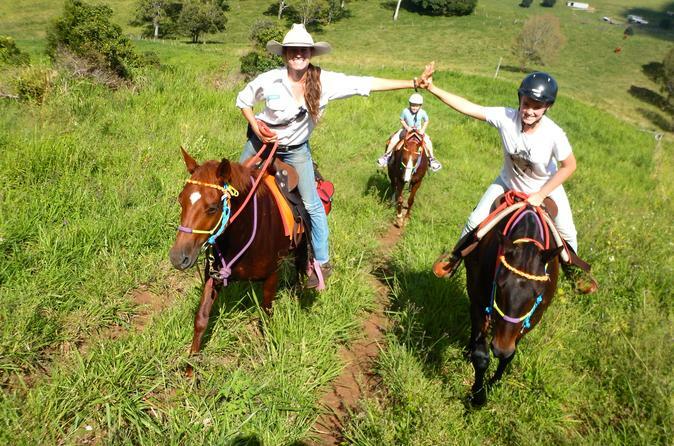 Enjoy a small-group tour with a maximum of ten guests giving you a more personalized experience. 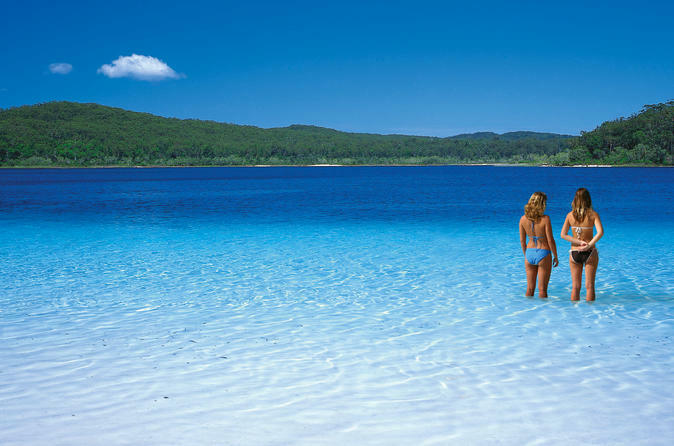 Discover the beautiful sites on Fraser Island, including Lake McKenzie, Eli Creek and the Maheno shipwreck before relaxing in your hotel room and taking advantage of everything Kingfisher Bay Resort has to offer. 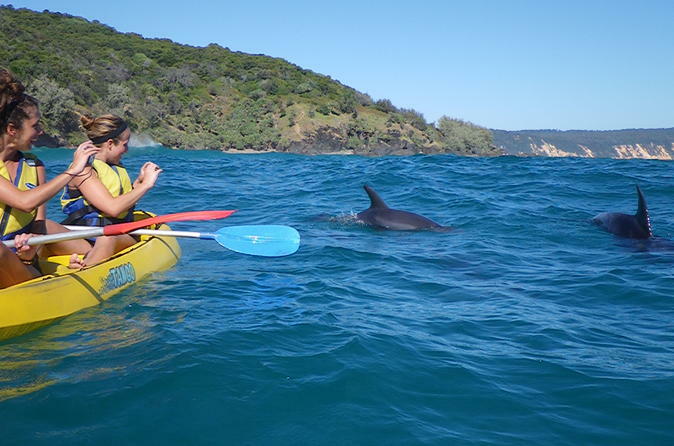 Kayaking with dolphins is a must for anyone looking for a lifetime experience with the wild! There is over 400 dolphins living in the area and chances to see dolphins on this kayak tour are high. You are also likely to see turtles, whales (June to October), manta rays, sea birds and soldier crabs in their thousands. If you are a nature lover this is the tour for you. 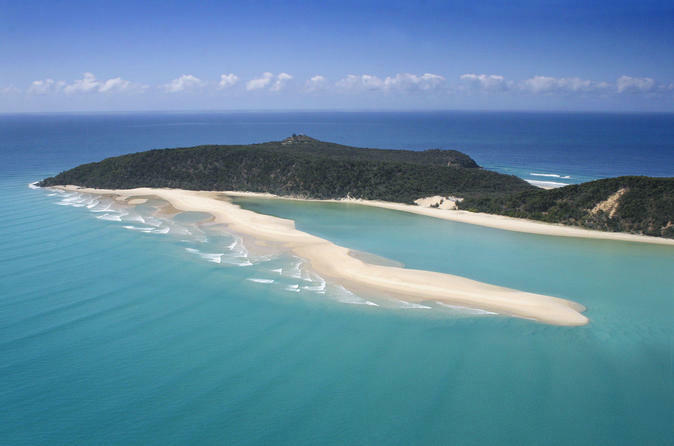 Included is a 20-minute beach drive adventure to the magnificent Double island Point that is only accessible by 4WD. 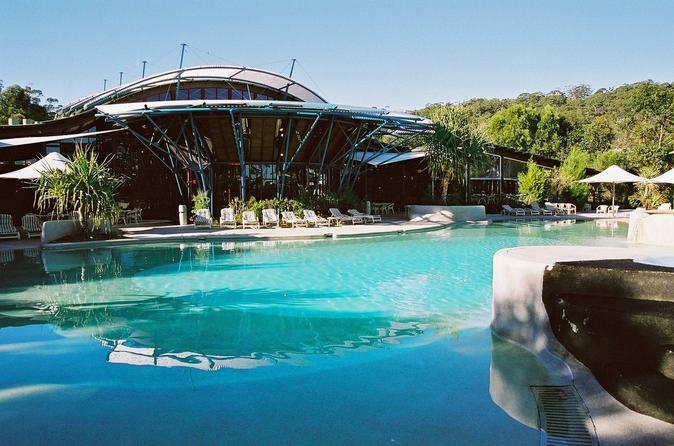 Your adventure begins from Noosa or Rainbow Beach with a 4WD transfer to the canoe campsite located deep in the heart of the Noosa Everglades. Upon arrival enjoy lunch before paddling your canoe upstream where you will embark on a bushwalk to the top of the Cooloola sand patch. Marvel at the stunning 360 views before paddling back to the campsite to settle in for a spectacular nights camping in this incredible wilderness area and stare at the millions of stars reflected in the mirrored waters of the river system. 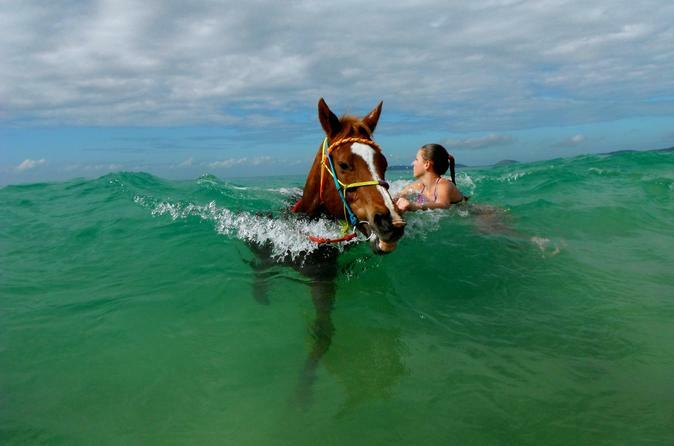 The 'Swimming Ride' allows guests to take their horse for a ride into the ocean. You literally immerse yourself into nature by swimming with your horse while whales breach on the horizon and dolphins play nearby. Learn to surf on Australia's longest and safest beginner waves. This surfing lesson and the location at Double Island Point is an experience you wont forget. 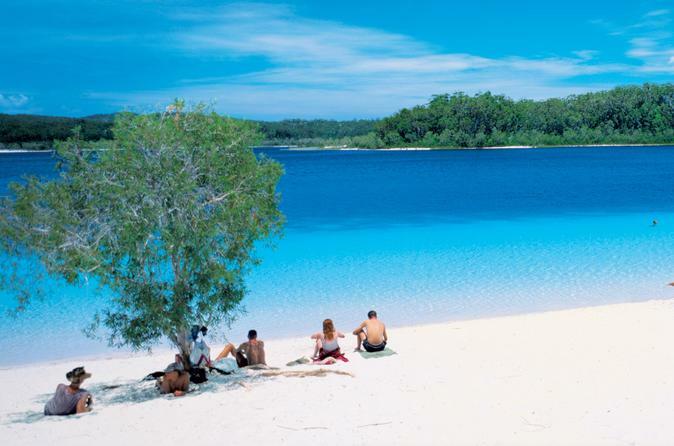 Start off with a spectacular beach drive through national park and past the famous Coloured Sands of Rainbow Beach to an uncrowded safe sandy point break with waves that go on forever. You'll be standing up and surfing first lesson and having fun! Small groups, personilized lessons and fast progression, this is the perfect way to learn to surf.